For over 30 years, Citor has been designing and manufacturing water treatment systems and desalination equipment. We specialise in Reverse Osmosis membrane applications. We also manufacture systems in nano, ultra, and micro filtration membranes, as well as general water purification systems, which do not require membranes. 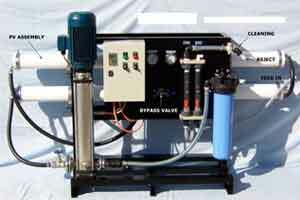 Some of these processes are used as pre and post-treatment for the Reverse Osmosis unit. Mains Water and Low Salinity Desalinators produce high purity water for laboratories, power stations, chemical manufacturers, hydroponic facilities, car washes, and the printing industry. For further information on any of our water treatment systems or desalination equipment, simply contact us by emailing info@citor.com.au or phoning +61 8 6305 0812 today.